To the early Hawaiians the mo'o (lizards) were a symbol of spirituality and good fortune. Shape-shifting and agile, lizards are one of the oldest and most powerful of Polynesian guardian spirits. 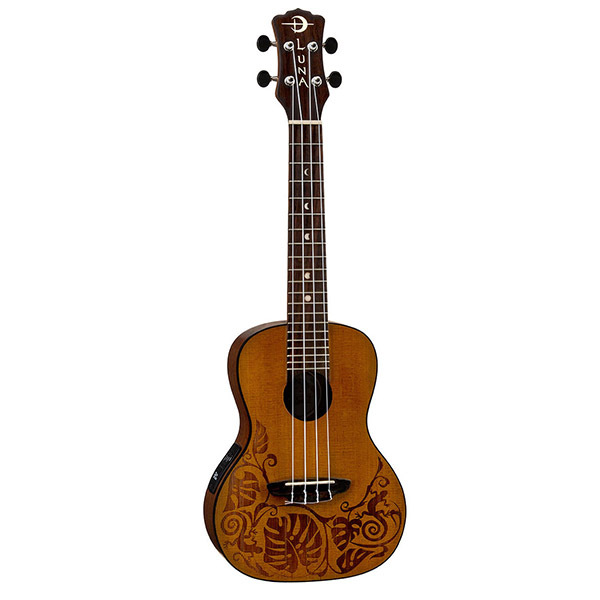 These graceful lizards intertwine amongst tropical Monstera leaves on this fanciful uke and are sure to bring good mojo to your playing. 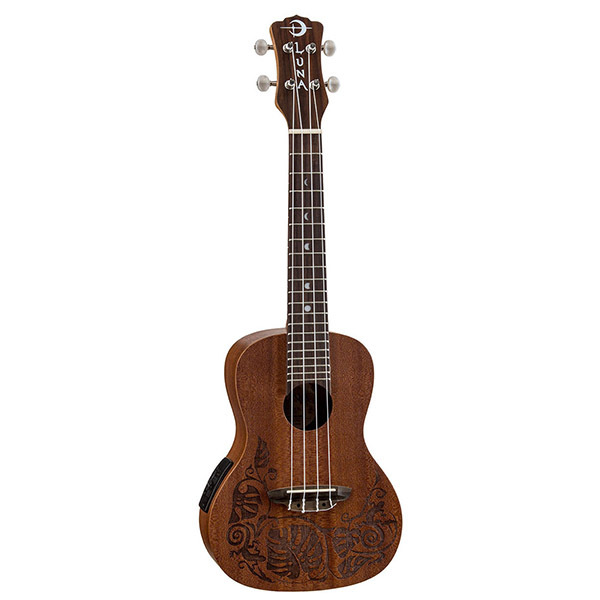 This is a solid Mahogany, set neck instrument,which aids in having a full tone and ability to retain in tune - even after a lengthy set. 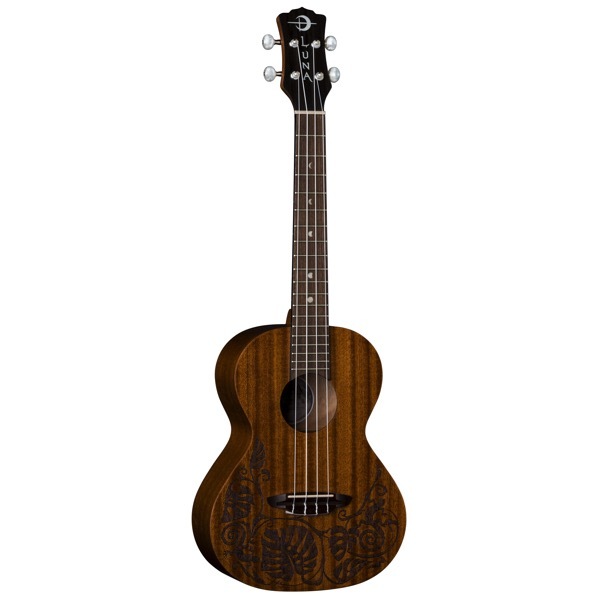 Plays beautifully, looks beautiful... all at a great value. Includes gig bag.